The new age of cancer prevention has begun. People no longer need be subject to the deterministic paradigm of the past, where genetics ruled over lifestyle and environment. The fact is, 90 -95% of cancer diagnoses have their roots in environment and lifestyle. Up to 30% of cancer deaths are due to tobacco use, 20-35% are due to diet, 15-20% are due to infections and the remaining 10-20% are due to stress, radiation, physical activity and environmental pollutants. With more information than ever before and close to the highest rates of cancer diagnoses ever seen, the time for prevention is now. Given that smoking is the single most direct contributor to cancer, this aspect is of primary importance for prevention. Smoking is one of the greatest barriers to health. It has been widely established as causative for various cancers, including cancers of the lung, oral cavity, larynx, esophagus, bladder, pancreas, kidney, cervix and stomach, as well as acute myeloid leukemia. 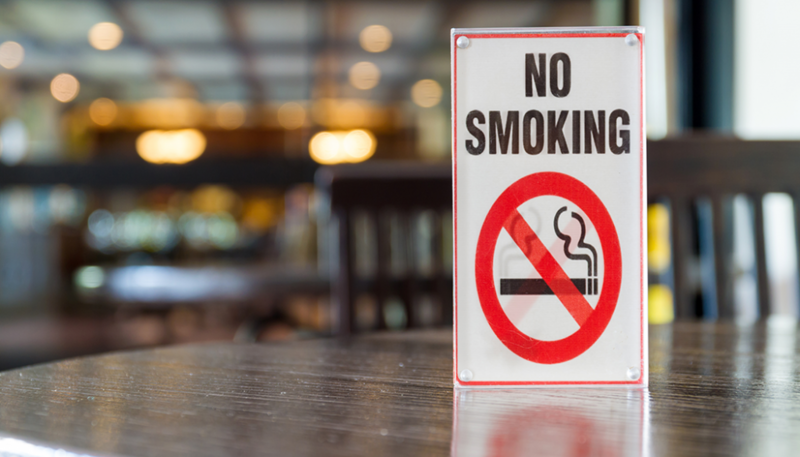 Smoking disrupts the ability of the body to efficiently take in oxygen and transport it into the blood stream where it is a required substrate for our cells metabolic processes. Not only does smoking interfere with health function by diminishing physiological processes, it also adds carcinogenic materials into the body which actively promote pathogenic processes. Smoking cessation and smoking prevention are major targets in cancer prevention. Personal finances and mindfulness are two important, under-rated aspects of smoking prevention and cessation. The simple act of engaging in budgeting or financial planning can reduce smoking by raising awareness of the financial cost of the habit. When people are aware of the real life sacrifices that are being made or would be made as a result of smoking, they are much less likely to participate in the act. In fact, the financial aspect of smoking is more effective than health education for smoking cessation and prevention. Engagement in futuristic thought can also help people idealize themselves and their lives. This can increase their motivation for creating positive change by allowing them to connect to their aspirations for the future. In this process, it often becomes abundantly clear that smoking is a direct financial hindrance to future experiences including travel, home purchases, higher education and retirement. Mindfulness can help reduce smoking in numerous ways. It can assist in the recognition of habit-driven or secondary behavior-driven smoking. For example, smoking for a mental break from work, smoking right before bed to relax or smoking in the car. This type of smoking is mindless and driven by secondary influences. These behaviors can be recognized and more appropriate ones can be substituted. For example, walking outside to have a moment to clear one’s head can provide a healthy mental break. The addition of smoking to this behavior is not needed. Similarly, listening to calming music or a guided meditation before bed can efficiently help with relaxation. Finally, focusing on breath while driving can help people experience alertness or presence without the addition of cigarettes. In other words, the helpful act of mindful inhalation and exhalation, doesn’t require cigarettes. Mindfulness allows people to recognize the primary motivator behind their behaviors. Smoking is generally not the most effective behavior to promote one’s desired experience. Often, smoking is habitually tied to helpful behaviors which are providing the real benefits. Increasing mindfulness so as to experience the real implications of smoking can also be extremely motivating. This can be achieved by engaging in exercise, noticing the feeling of respiratory exhausting and, then, realizing that this feeling would be increased if smoking was introduced or decreased if smoking were reduced. In this way, mindfulness can help people bring attention to the experiential health consequences that smoking produces. The mindful experience of health compromise is more motivating than the conceptual understanding of the health compromise. Finally, mindfulness can be a powerful tool in the process of quitting smoking. It can assist in recognizing urges before they are too powerful to overcome. It can help people identify smoking triggers within their external or internal environments. With this information, the reaction to the trigger can be controlled or the trigger can be avoided. Mindfulness can also support the addition of lifestyle changes which can combat some of the withdrawal symptoms. This may include regular exercise, increased water consumption, regular eating or even relaxing meditation.